Some Delaware students are spending the summer learning how to do movie special effects. 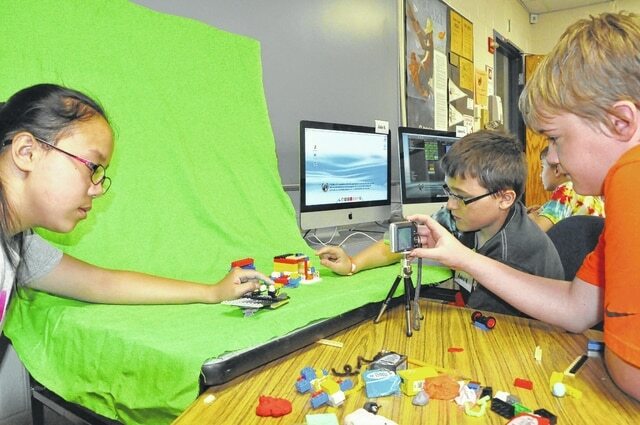 Mandy Lin and Jake Vilchinski posed Lego figures while Luke Lectka operated the camera during Delaware City Schools’ summer enrichment course “Stop Motion Animation and Green Screen Effects” Wednesday morning at Hayes High School. Students were taught how to make stop-motion videos using Legos and took photos of each other in front of green screens and computer-edited the images to look like super-heroes. The program runs five days and is just one of Delaware City Schools’ summer courses.